Update: Surprisingly Gifford’s Sunday Morning did not sell at last week’s auction. 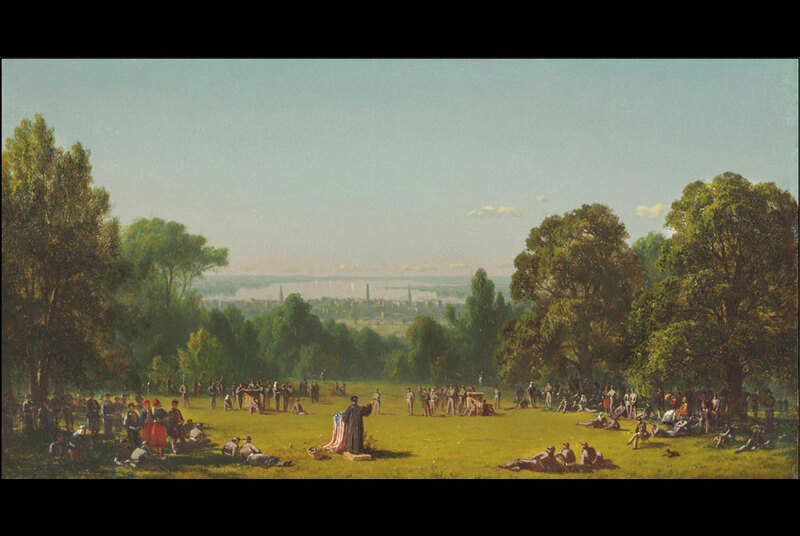 I am even more surprised because another work by the Hudson River School artist did so. I am wondering if the Civil War-themed piece was considered too subject specific by collectors. It will be interesting to see what eventually happens with this work.